Hentet fra Fellesrådet for Afrika. Boklansering på Litteraturhuset i Oslo den 30. april 2019 Kl. 18.00 til 19.30. 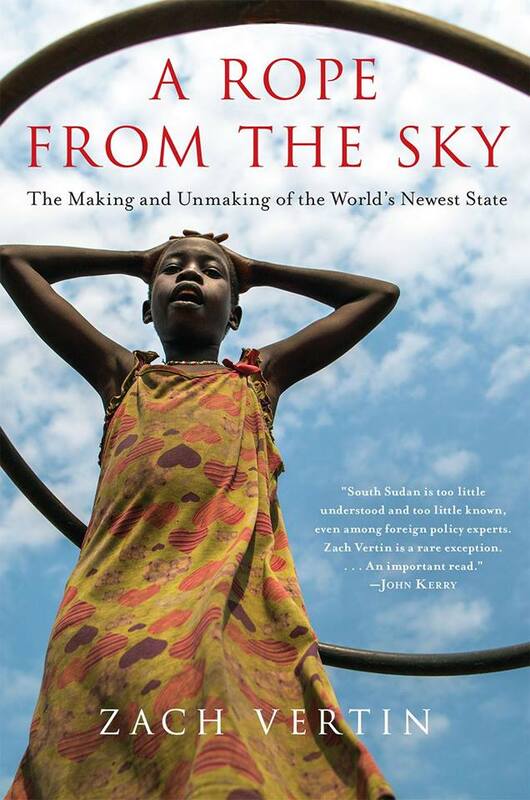 A Rope from the sky – The making and unmaking of the world’s newest state is a book about South Sudan and how the new nation was plunged into chaos, shattering the promise of liberation and exposing the hubris of their foreign backers. A Rope from the Sky journeys inside an epic tale of paradise won and then lost. The author, Zach Vertin, is a writer, foreign policy analyst, and former diplomat. He served at the State Department during the administration of President Obama, and was closely involved in the South Sudan peace process. He also served as a Senior Analyst for the International Crisis Group in the Horn of Africa and an advisor on UN operations and multilateral affairs in New York. Mr. Vertin is joined in conversation by Endre Stiansen, senior research and policy advisor at UNDP Oslo Governance Centre. They will be exploring the American perspective on South Sudan, as one of the three countries in the so-called «troika» for Sudan and South Sudan (joined by UK and Norway). Fagseminar og årsmøte 26. april 2019. Offentlig møte om Omar al-Bashir i Sudan – En krigsforbryter står for fall?